Sweetfield Manor Historic Inn in Bridgetown, Barbados! Bid per Room per Night and Choose your Length of Stay! at The Sweetfield Manor, Barbados! This cozy plantation house turned Boutique Hotel was originally built in the early 1900’s and still maintains its treasured antique quality with modern touches. Sweetfield Manor aims to fulfill the needs of many families, couples and business travelers looking for exclusive and relaxing lodging which is centrally located to the city and beaches. 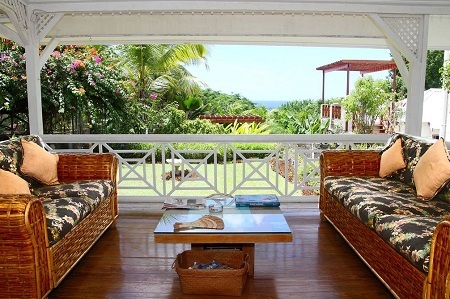 The Manor is nestled in tropical surroundings and perched on a hill overlooking the spectacular South Coast of Barbados. This hidden gem boasts seven (7) guestrooms, a beautiful lagoon-style pool surrounded by lush tropical foliage, whirlpool and waterfall. 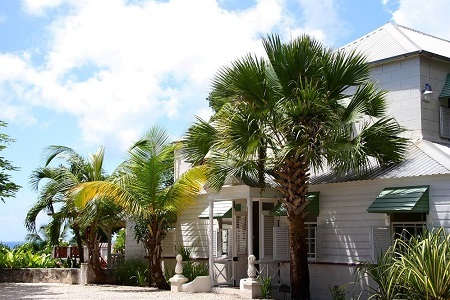 Sweetfield was awarded “the Best B&B in the Caribbean” by BedandBreakfast in 2008 and 2010, “Best in the Caribbean” by Island Magazine, winner of Trip Advisor’s Travellers' Choice award in 2012 and the Certificate of Excellence 2013 and 2015 and winner of TripExpert's Experts Choice award 2015. Offer is based on single/double occupancy in an Island, Hummingbird or Bananaquit. The Island Room is a tranquil and relaxing room that is beautifully draped in shades of white featuring a Tommy Bahama Queen Sleigh bed. The room is extra large at 25ft x 25ft and has its own luxurious private bathroom. The Hummingbird Nook is overlooking the lagoon styled pool, this room boasts a queen size bed with private bathroom complete with a large covered patio and day bed, perfectly positioned for a moonlight swim. The Banaquit Corner is overlooking the lagoon styled pool, this room boasts a queen size bed with private bathroom complete with a large covered patio and day bed, perfectly positioned for a moonlight swim.